If you’re anything like me, you’re a little in-love with Raph–I mean, Mikey. Wait, no…the whole Turtle-Team…And you’re wanting to share that deep and soul-clenching love of the Teenage-Heart-Throb-Reptiles with your kids. Or, you’re like my husband and you dress-up as a Ninja Turtle for Halloween…even as an adult. 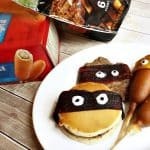 To help you seal the deal with your kids and make them feel all the turtle love, I came-up with a great recipe for Homemade Fruit Leather Masks for TMNT Snacks. Because nothing initiates kiddos into the turtle-lovin’ like a little snacky. Heh. But, you’re here, so you must be interested. Right? Heh. Just roll with me. LOL! Want a photo-tutorial for how to make the fruit leather masks? Run with scissors, my friend. Now, before you embark on your journey, be sure you have fruit to do this right (you don’t want to be schooled by a kid, now). 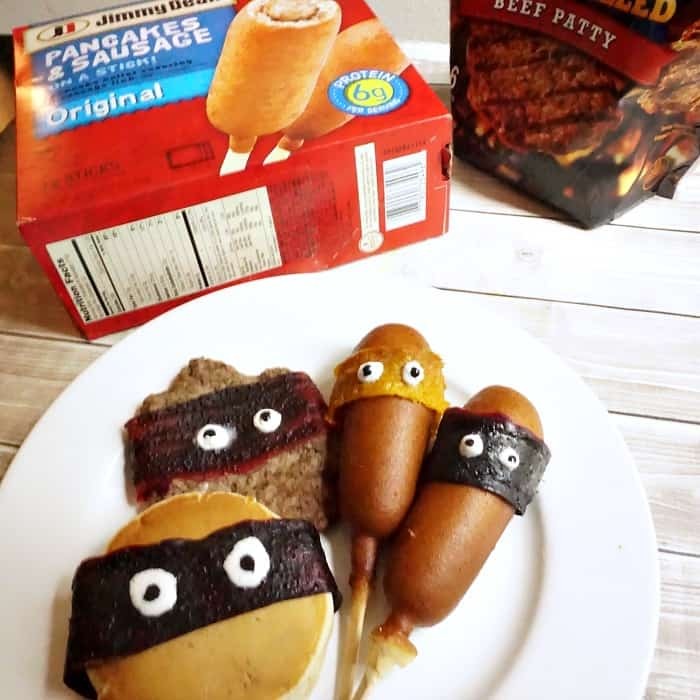 I came-up with a great recipe for Homemade Fruit Leather Masks for TMNT Snacks. 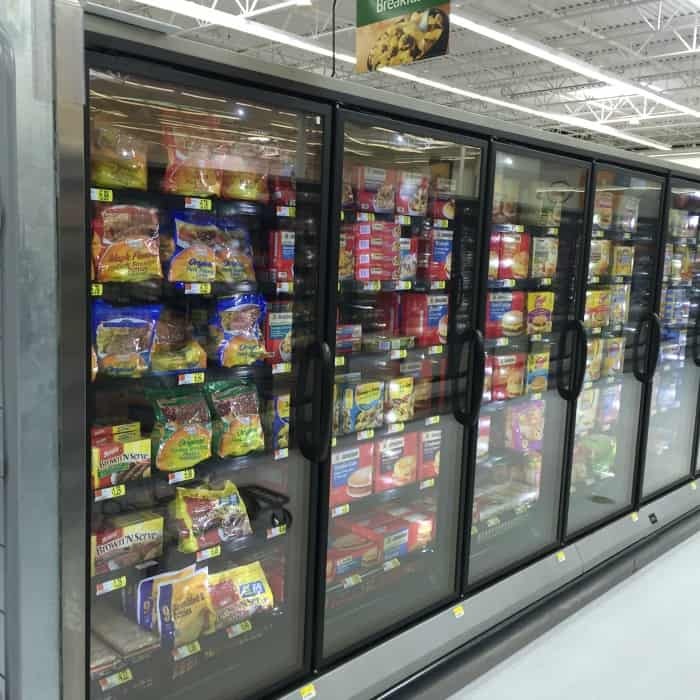 Because nothing initiates kiddos into the turtle-lovin' like a little snacky. Heh. Peel and separate orange slices. Remove strawberry stems and slice chunkily. Smash each fruit separately with a potato masher. Boil each fruit for 15 minutes with 1 tbsp of water. Place fruit, separately, into the blender. Puree fruit until it's all mushed and unrecognizable. Place 1/2 cup of strawberry puree and 1/2 cup blueberry puree together into a separate bowl. Pour the purees separately onto a cookie sheet covered in wax paper or parchment paper. Place in the oven for 3 hours, then turn off the oven and allow it to sit in the oven overnight. Remove from the oven and carefully pull the fruit leather off the paper. 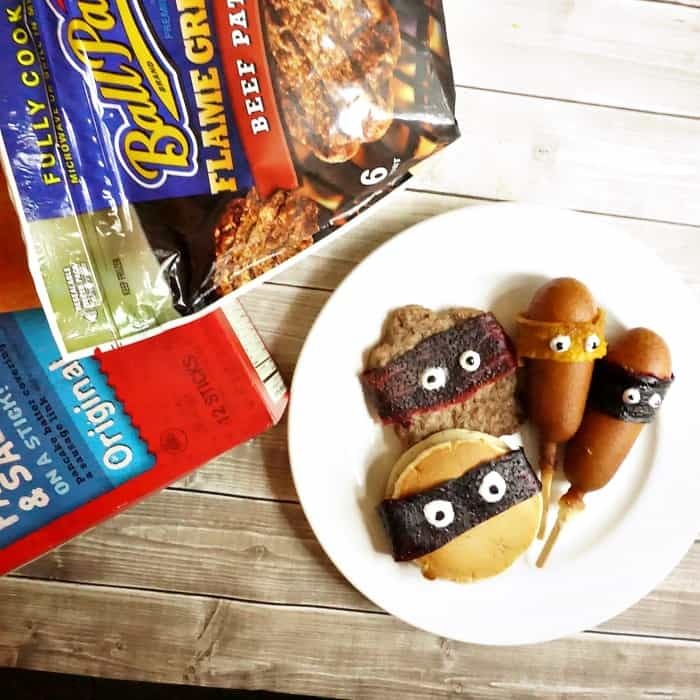 Slice into strips to create masks--and place candy eyeballs or icing in white and black on top to mimic the TMNT masks! 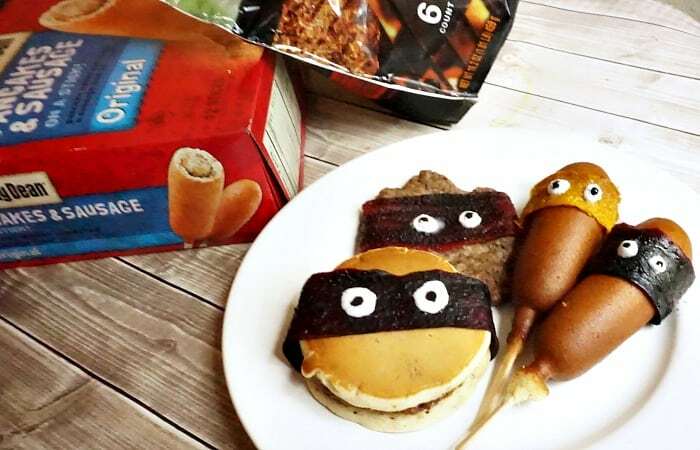 And, because I love you, I’ll let you in on a secret (not a secret)…just buy any 2 participating Tyson®, Ball Park®, State Fair®, or Jimmy Dean® items at a participating Walmart location, snap a quick pic of your receipt, and you will get a movie ticket to see Teenage Mutant Ninja Turtles: Out of the Shadows, with your kiddo. It’s in theaters June 3rd, so perfect timing with the end of the school year, neh? 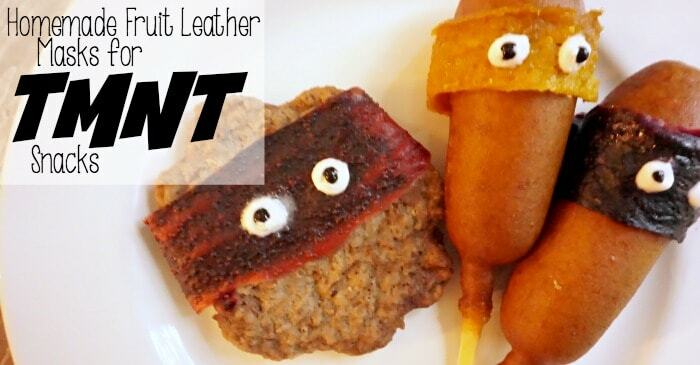 In the meantime, make some Homemade Fruit Leather Masks for TMNT Snacks and let me know how it goes. Just drop me a line in the comments below or find me on Facebook!